Solomon was wise, and people came from all over to hear his wisdom. 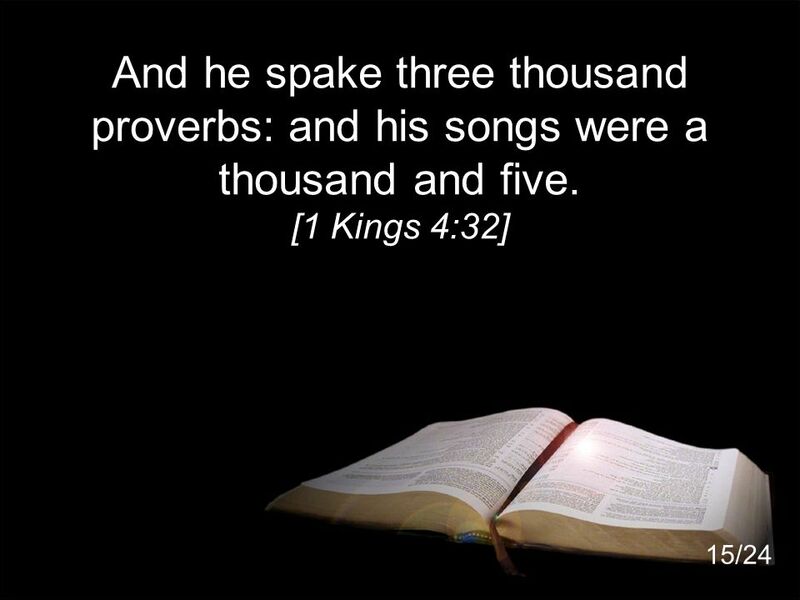 He spoke proverbs and wrote songs. He knew of everything. 12) Part personal Question. 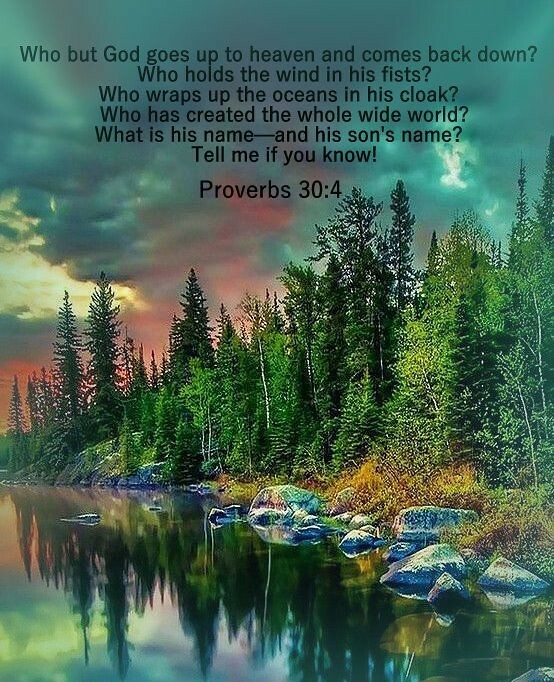 My answer: God granted Solomon riches, wealth, honor, discernment, and wisdom. It’s all about God’s timing. When it’s right in your life, it will happen. 13) Personal Question. My answer: Solomon was wise in every way like God, and it appears it was used for good. 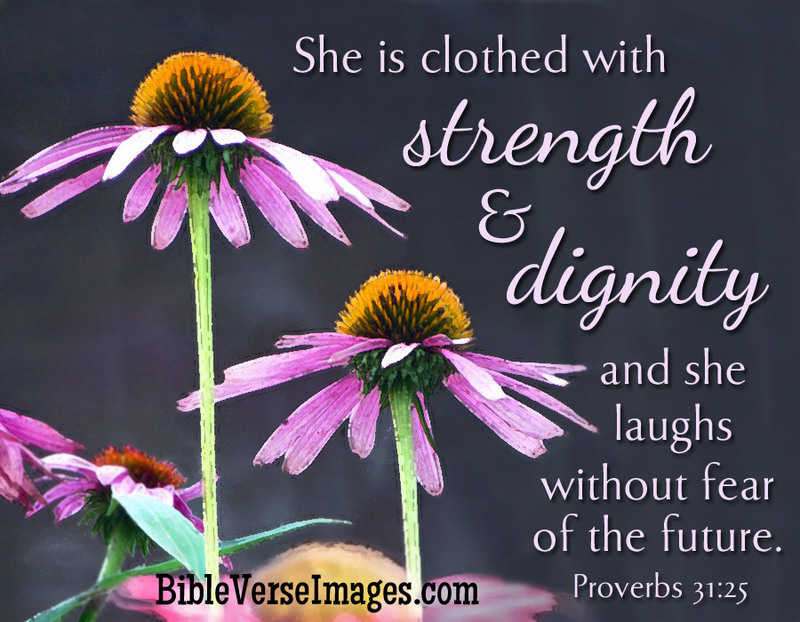 God’s wisdom leads to a good life with good deeds and a heart for God’s ways. We use it for His glory and His good. 14) Part personal question. My answer; Solomon learned that with much wisdom comes much sorrow; the more knowledge, the more grief. Wisdom is better than folly. Wisdom brightens a man’s face and changes its hard appearance. Sometimes it is better not to know than to know because once you know, you have no excuse not to act. We know about other countries and the atrocities that happen there. We know about the poor around the world and around ourselves. We know the need. Once you know, you must act. There is a bliss about ignorance and youth. You can live carefree. Not so when you know there is so much to be done. Wisdom is a Catch-22 I think is what Solomon is driving home. Knowing about others’ grief brings you grief. Answering with God’s heart is what brightens your face. In the glory years of Solomon’s kingdom, he used the great wisdom God gave until he fell away from his devotion and worship of God (1 Kings 11:1-11). Solomon became a prominent and famous man even among kings. In a strong sense, this is the fulfillment of the great promises to an obedient Israel described in Deuteronomy 28. In a sense, these blessings came upon Solomon more for David’s obedience than for his own. David was far more loyal and intimate with God than Solomon; yet God outwardly blessed Solomon more for David’s sake than He blessed David himself. 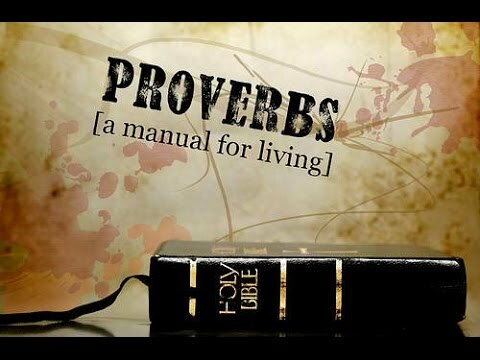 Solomon’s great wisdom – divinely inspired wisdom – makes up a considerable portion of the Book of Proverbs. Solomon composed many songs but few psalms in the sense that David was the sweet psalmist of Israel (2 Samuel 23:1). This goes back to Solomon’s inferior relationship to God (compared to his father David). Solomon’s wisdom was not only applied to understanding life and human problems, but also to understanding the world around him. He had a divinely gifted intellect and ability to understand. Solomon ruled over all of the Israel. He had 12 district governors who had to supply provisions to him and his household. 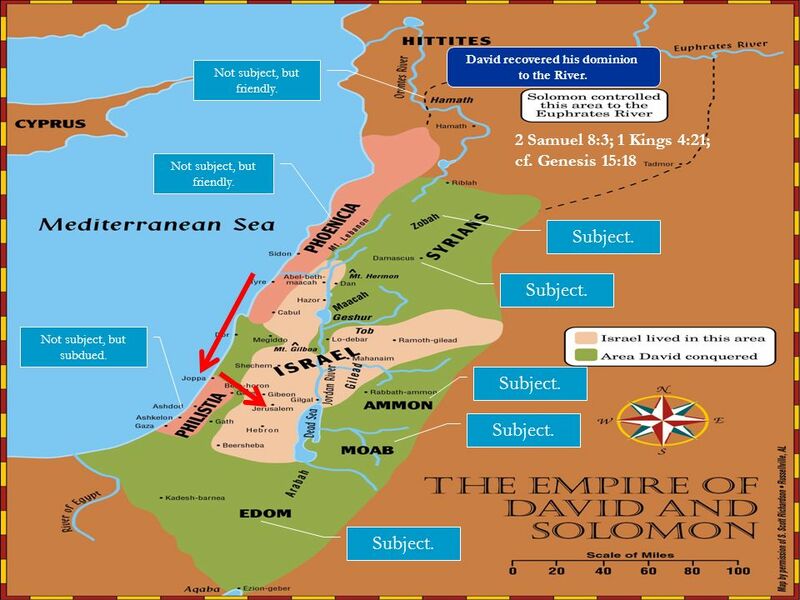 Israel prospered and was large in territory. Solomon was wise. Solomon accumulated chariots and horses, 1400 chariots and 12,000 horses. He was rich. He began to trade in horses with the Egyptians, Hittites, and Arameans. 9) Part personal question. My answer: He divided Israel into 12 districts and divided up the tasks equally of providing for the king and the royal household. He trained and supervised those to help him rule his kingdom. He was wise. Solomon divided up responsibilities, which I think we all do in a family, and offered training, which is what parents do. 10) Everyone was able to enjoy the fruits of their labor in safety. 11) Part personal Question. My answer: You forget the Lord during peace and prosperity. It is He who gave you the ability to produce wealth. We may become prideful. Remember God in all that you do and that everything is from Him. Give Him the credit when you get promoted at work or do something good. Finally, we get to see Israel at peace after all the wars and hardships we’ve read about. It’s good to know God has great plans at the end of our personal wars. Solomon selected, trained, empowered, and supervised leaders. 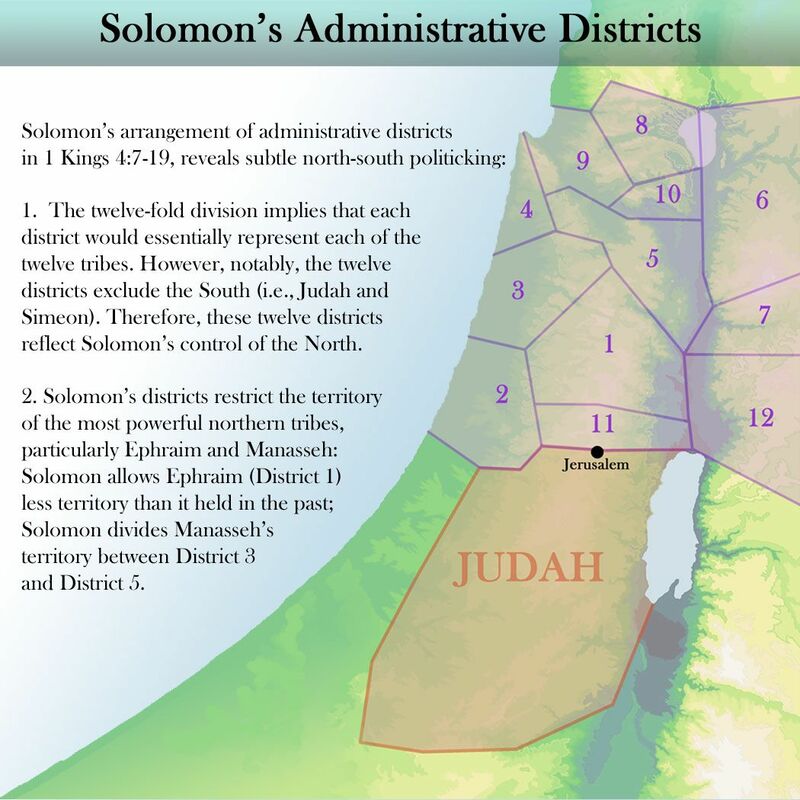 Solomon’s government was structured much like modern nations. He had officials who served as ministers or department secretaries over their specific areas of responsibility and were responsible for taxation. The districts were not strictly separated by tribal borders but often according to mountains, land, and region. 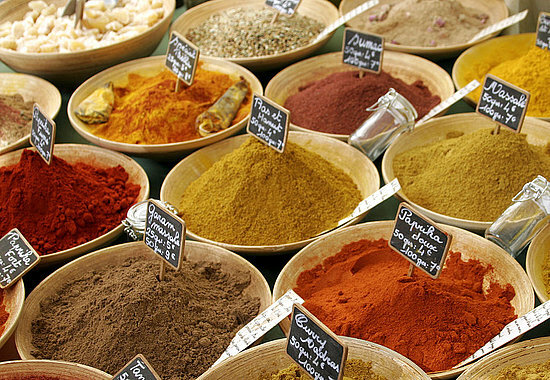 Taxes were paid in grain and livestock, which were used to support the royal court and the central government. Each governor was responsible for one month of the year — not overwhelming to any one district. 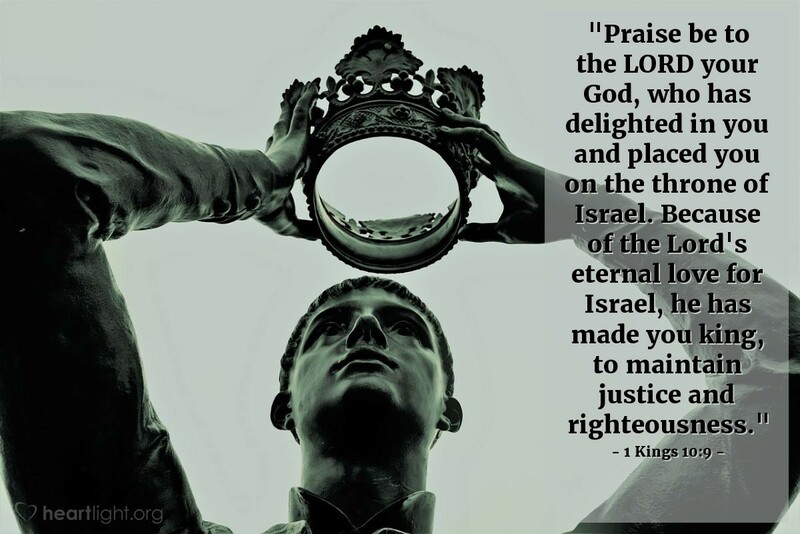 The reign of Solomon was a golden age for Israel as a kingdom. The population grew robustly, the nation and were were prosperous, allowing plenty of leisure time and pursuit of good pleasures. David did all the work. Israel’s neighbors were weak during this time as well, contributing to their good fortune. The amount of food was extravagant: some estimate that this much food every day could feed 15,000 to 36,000 people. It supplied considerably more than Solomon’s household, large as it was. Fatted oxen are pen-fed cattle in contrast to open grazing varieties. Each man under his vine and his fig tree: This was a proverbial expression for a time of peace and prosperity in Israel (Isaiah 36:16, Micah 4:4, Zechariah 3:10), indicating safety from both internal and external enemies. The famous stables of Solomon show what a vast cavalry he assembled for Israel. 2 Chronicles 9:25 is a parallel passage and has 4,000 chariots instead of 40,000 – the smaller number seems correct and the larger number is probably due to copyist error. Solomon did not take God’s word as seriously as he should. In Deuteronomy 17:16, God spoke specifically to the future kings of Israel: But he shall not multiply horses for himself. One may argue if 20 or 100 horses violates the command to not multiply horses, certainly forty thousand stalls of horses is multiplying horses. Each man according to his charge: Spurgeon preached a sermon on this verse (which is lost in the NIV translation), focusing on the idea that we each have a charge to fulfill in the Kingdom of God, and we should be diligent to perform it and be expectant in being supplied for this duty. Solomon gave an eloquent testimony to the vanity of riches as the preacher in the Book of Ecclesiastes. He powerfully showed that there was no ultimate satisfaction through materialism — a lesson we all should take to heart. We don’t have to be as rich as Solomon to learn the same lesson. Solomon presided over a prosperous and wealthy kingdom. Yet the Chronicler is also warning us here. He assumes that we know of the instructions for future kings of Israel in Deuteronomy 17:14-20. He assumes we know verse 17 of that passage, which says: nor shall he greatly multiply silver and gold for himself. God blessed Solomon with great riches, but Solomon allowed that blessing to turn into a danger because he disobediently multiplied silver and gold for himself. Solomon disobeyed by multiplying horses for the service of his kingdom and he obtains them from the Egyptians (1 Kings 4:26, 10:28-29). Solomon married Pharaoh’s daughter (1 Kings 3:1). Solomon married many other foreign women (1 Kings 11:1-4). Solomon built temples to the gods of his wives for their use (1 Kings 11:7-8). Solomon began to worship these other gods himself (1 Kings 11:4-5). Solomon made an alliance with Pharaoh of Egypt and married his daughter. Both himself and the Israelites were sacrificing to other gods, but Solomon was following God’s laws. He went to Gibeon to sacrifice to the Lord. God was with Solomon and made him great. He spoke to all of Israel and went to Gibeon to sacrifice to the Lord. The Lord commanded the future kings of Israel not to return to Egypt and not to accumulate horses, not to take many wives, or accumulate large amounts of silver and gold. He must write a copy of God’s law and keep it with him and read it every day so the king can know God’s law and obey it with a humble attitude. Then he and his descendants will reign a long time. 3) Solomon disobeyed most of them. He obviously went to Egypt since he married an Egyptian princess. He took many wives. He was extremely wealthy. 4) Submissive attitudes and tolerance towards sins that show others that sin is okay and even permitted. 5) Part personal Question. My answer: Having the king write a copy of God’s law and keep it with him and read it every day so the king can know God’s law and obey it. This is important for all of us. We can’t obey God’s law if we don’t know God’s law. We shouldn’t consider ourselves better than our brothers either for we are all sinners. 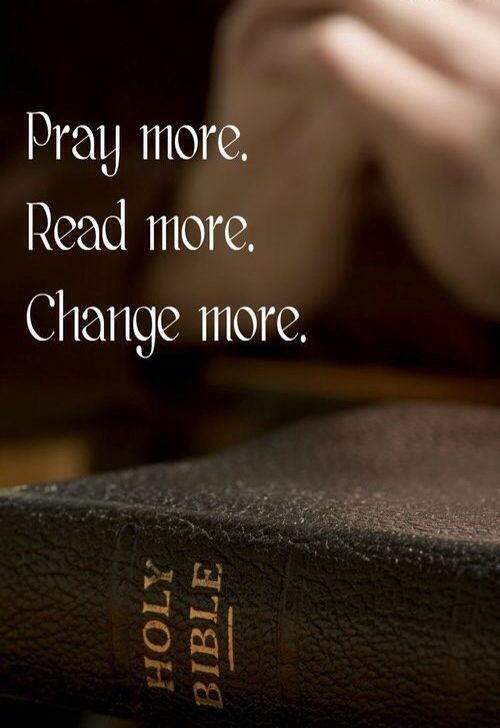 God’s law (the Bible) is our guidebook for living. It keeps us from sin and the devil. I’ve been protected many times every day by it and blessed in this life. 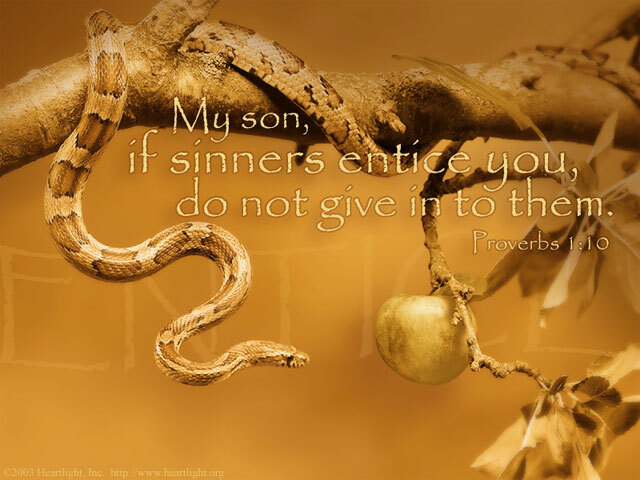 Solomon is a great example of someone who loves God but chooses to disobey and justify these sins. He picks and chooses which parts of God’s law to follow. Ultimately, as good of a king as he was, it is his downfall. Marriage to fellow royalty was a common political strategy in the ancient world, and continues to the modern age. It was not only because royalty wanted to marry other royalty, but also because conflict between nations was then avoided for the sake of family ties. This was not Solomon’s first marriage. 1 Kings 14:21 tells us that his son Rehoboam came to the throne when he was 41 years old, and 1 Kings 11:42 tells us that Solomon reigned 40 years. This means that Rehoboam was born to his mother, a wife of Solomon named Naamah the Amonitess, before he came to the throne and before he married this daughter of Pharaoh. Solomon’s multiple marriages and marriages to foreign women would cause great disaster in his life and went directly against God’s word. Later in the Book of Nehemiah, Nehemiah was angry and frustrated because the people of Israel married with the pagan nations around them. In rebuking the guilty, Nehemiah remembered Solomon’s bad example (Nehemiah 13:25-27). The foreign wives made Solomon more than a bad example – they ruined his spiritual life. (1 Kings 11:1-4). 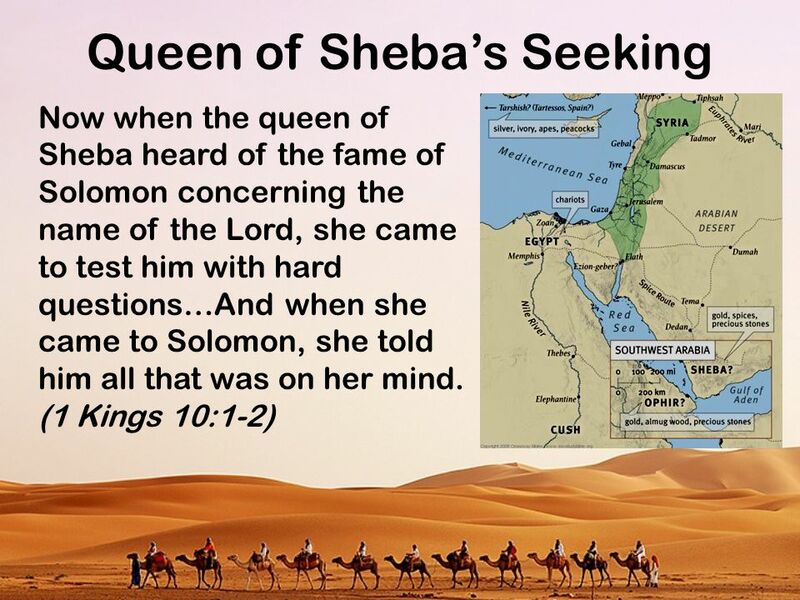 1 Kings 11:4 says this Solomon only turned away from God as he got older, but the pattern was set with this first marriage to the Egyptian princess. It perhaps made political sense, but not spiritual sense. 2 Samuel 3:3 tells us that David married the daughter of a foreign king: Maacah, the daughter of Talmai, king of Geshur. Marrying a foreign woman was not against the Law of Moses – if she became a convert to the God of Israel. What did not ruin David did ruin Solomon. At this time, altars were allowed in Israel at various high places, as long as those altars were unto the LORD and not corrupted by idolatry (as commanded in Deuteronomy 16:21). When the temple was built, sacrifice was then centralized at the temple. With the sacrifices, we see Solomon’s great wealth and his heart to use it to glorify God. As we see in 2 Chronicles 1:2-3, the entire leadership of the nation went with Solomon to Gibeon, which was the great high place. The tabernacle was a Gibeon and the ark of the covenant was in Jerusalem. Joshua brought both the ark and the tabernacle to Shiloh (Joshua 18). In the days of Eli the ark was captured and the tabernacle wrecked (1 Samuel 4, Psalm 78:60-64, Jeremiah 7:12 and 26:9). The ark came back to Kiriath-Jearim (1 Samuel 7:1-2). Saul restored the tabernacle at Nob (1 Samuel 21). Saul moved the tabernacle to Gibeon (1 Chronicles 16:39-40). David brought the ark to Jerusalem and built a temporary tent for it (2 Samuel 6:17, 2 Chronicles 1:4). Why did David not bring the tabernacle from Gibeon to Jerusalem? He may have believed if the tabernacle were in Jerusalem, the people would be satisfied with the simple tabernacle instead of having the temple God wanted built. It may be that the tabernacle was only moved when it was absolutely necessary – as when disaster came upon it at Shiloh or Nob. David simply focused on building the temple, not continuing the tabernacle. This bronze altar was the same altar made in the wilderness between Egypt and the Promised Land (Exodus 36:1-2). This altar was at least 500 years old and had received many sacrifices over Israel’s long history since the Exodus. Solomon and the people of God sought the LORD at the place of atoning sacrifice. This was the Old Testament equivalent to “coming to the cross” in seeking God. This was an important event marking the “ceremonial” beginning of Solomon’s reign. Solomon wanted to demonstrate from the beginning that he would seek God and lead the kingdom to do so. The king of Israel must not put undue trust in military might. The future king of Israel must not put undue emphasis on physical indulgence and personal status. The future king of Israel must not put undue emphasis on personal wealth. Each of these issues is a matter of balance. The king had to have some military power, but not too much; one wife and certain comforts, but not too much; some personal wealth, but not too much. Such balances are often the hardest to keep. Solomon was a notorious breaker of these commands. He had forty thousand stalls of horses for his chariots (1 Kings 4:26), and Solomon had horses imported from Egypt (1 Kings 10:28). He had seven hundred wives, princesses, and three hundred concubines; and his wives turned away his heart (1 Kings 11:3). He surpassed all the kings of the earth in riches (1 Kings 10:23). Solomon knows the commands of Deuteronomy 17, yet deceives himself by asking the self-justifying questions, “How much is ‘multiply’?” It might seem self-evident that 700 wives and 300 concubines is multiplying wives to yourself, but one should never underestimate the ability of the human heart to deceive itself in such situations. These are universal stumbling points; hence God’s commands not to do them: power, pleasure, or money. 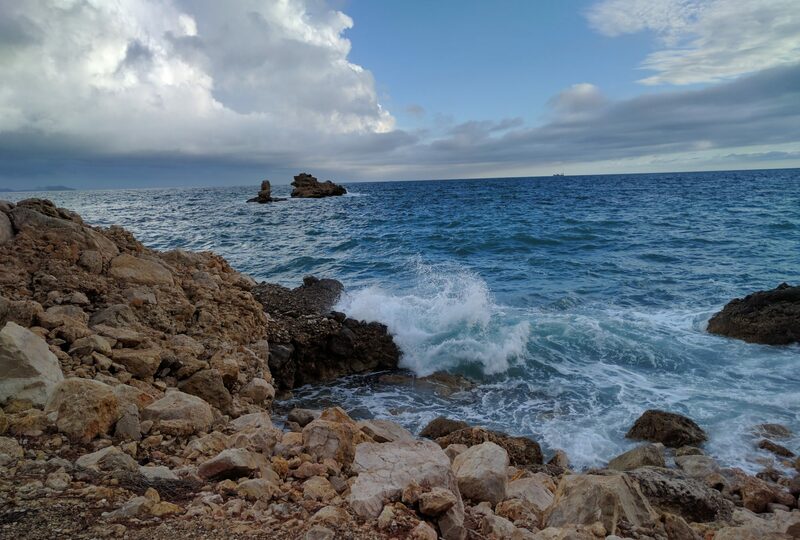 God’s commands for leaders have not changed; and neither has the need to be on guard against the self-deception in these things which felled Solomon. The king of Israel himself was supposed to labor over parchment with a pen, making a personal copy of the law of Israel. This shows how greatly God wanted the word of God to be on the hearts of His rulers; God wanted every king to also be a scribe. The word of God was to be constant companion of the king of Israel, and something he read every day. All need the word of God; but the greater our responsibilities, the greater our need to depend on the truth of God’s word. 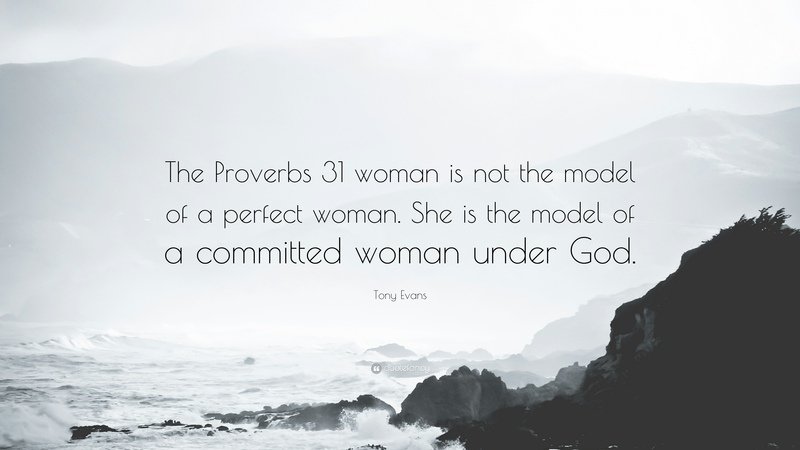 Staying in the word of God was intended to build a reverence for God and a holy life in the king. Luther said he would rather live in hell with the Bible than to live in Paradise without the Bible. Staying in the word of God would keep the king properly humble and help him to not think of himself as above those he ruled over.